The world“s largest halal trade show returns for its highly-anticipated 15th edition. Malaysia is once again setting itself up as a leading influencer and industry player in the global Halal economy by hosting the 15th Malaysia International Halal Showcase (MIHAS) from 4th to 7th April 2018 at Malaysia International Trade and Exhibition Centre (MITEC), Kuala Lumpur, Malaysia. The highly anticipated signature event will bring together global Halal brands and gather leading industry players and thought leaders from around the world for four days of trade, networking and knowledge sharing. Organised by Malaysia External Trade Development Corporation (MATRADE) under the patronage of Ministry of International Trade and Industry of Malaysia, MIHAS is the largest Halal trade event of its kind in the world. Whilst the exhibition logged its largest edition in 2017, recording 22,000 visitors from 80 countries, this year MIHAS is set to double in size. The exhibition features products and services across seven industry sectors: Food and Beverage, Pharmaceuticals, Cosmetics, Tourism, Finance, Logistics and E-commerce. According to Ir. Dr. Mohd Shahreen Zainooreen Madros, Chief Executive Officer of MATRADE, „the overwhelming interest in MIHAS reflects the bullish sentiment of the global Halal industry. Of the 800 companies that are expected to participate this year, as high as 32% of exhibitors are new-to-market while the remaining 68% are repeat and long-term participants“. „41 countries so far have registered interest to participate, representing 45% of the total occupancy of MIHAS 2018; the rest, of course, being Malaysian companies. I am happy to note that India are among the top 6 countries having the largest pavilion at MIHAS, alongside Thailand, Indonesia, Taiwan, Iran and China“, he added. MIHAS has been a highly effective sourcing platform, steadily recording over USD 4 billion in cumulative trade for its participants. As the world“s largest Halal tradeshow, MIHAS will continue to lead and serve the industry by fostering business and investment in the Halal domain. This year, buyers at the exhibition can expect to find the latest Halal product offerings and services across industry value chains. From Halal ingredients to semi-finished products and manufactured goods, to packaging and logistics, to Shariah-compliant financing and Takaful, MIHAS has become an indispensable annual one-stop centre for traders in this burgeoning economic sector. Thomson Reuters in its latest State of The Global Islamic Economy Report predicts that the potential size of the Muslim market will reach USD 3.081 Trillion by 2022. Total Muslim spend across lifestyle sectors already represents nearly 12% of global expenditure. The number of exhibitors MIHAS has received this year is very promising. It will be welcoming 10 countries which have not previously participated in MIHAS before with at least 40 countries participating as exhibitors. MIHAS 2018 is also projected to double the number of participating exhibitors, from 612 booths to 1200 booths, making this year the most comprehensive and highly-anticipated edition of MIHAS for buyers that is expected to draw a very large crowd. Malaysian manufacturers and distributors will comprise half of the participating companies, reflecting keen support and interest from local players as well as the international. This year, top foreign countries exhibiting are from Thailand, Indonesia, Taiwan, China and Philippines. With these encouraging responses from local and international companies, it is evident more companies worldwide recognise the value of participating in MIHAS. This is supported by the fact that almost 70% of exhibitors are returning exhibitors. With the addition of newcomers in this year“s exhibition, MIHAS 2018 is also set to offer a wider range of products. Visitors to MIHAS 2018 this year can expect a lot more than just a diverse international glimpse into Halal products and services. Alongside the exhibition is a multitude of programmes and engagements designed to keep buyers and traders alike informed on the latest developments and trends in the Halal industry by experts from around the world. MIHAS programmes are jointly organised by MATRADE with various stakeholders that include JAKIM, the world“s leading Halal Accreditation and Certifying Body; Bank Negara Malaysia – Malaysia“s central bank; the Islamic Tourism Centre; the Malaysian Association of Travel and Tour Agents; and the Malaysia Retail Chain Association to name a few. Malaysia External Trade Promotion Corporation (MATRADE) is Malaysia“s national trade promotion agency under the Ministry of International Trade and Industry. MATRADE develops and promotes Malaysia“s global exports through 47 offices worldwide. MATRADE organises the Malaysia International Halal Showcase (MIHAS). Two Malaysian Pavillons showcase Malaysia’s latest technology trends at the world’s leading trade fair for the digital industries. Information and Communications Technology (ICT) has become an important sector in Malaysia’s economic development. This is especially so since the country created its own national „Silicon Valley“ back in 1996. The 750 km² large area, formerly known as „Multimedia Super Corridor“ and now commonly refered to as „MSC“, served as the nucleus for the growth of ICT and technology-based industries. Today, Malaysian companies are internationally recognized providers and exporters of ICT services and are making significant inroads to overseas markets. To further promote Malaysia’s innovative technologies a total of 14 Malaysian exhibitors will be participating in CeBIT 2014, the world’s leading trade fair for the digital industries held in Hanover, Germany. Many of these companies have participated in previous editions of CeBIT and have received tremendous support from international buyers. „As the economic performance of countries in EU and other regions continue to improve, we do expect to record strong sales in this year’s edition of CeBIT,“ says Jai Shankar, Malaysia’s Trade Commissioner in Germany and head of the Frankfurt office of Malaysia External Trade Development Corporation (MATRADE). According to him Malaysia has several key strengths in the ICT industry that are often overlooked by buyers from EU. „For example, we have convincing e-Government Solutions. According to the United Nations e-Government Survey 2010, Malaysia is ranked at 6th place in the list of 25 developing countries for e-Government development after Republic of Korea, Singapore, Bahrain, Israel and Colombia.“ According to Mr. Shankar, major credentials from Malaysia were Public Key Infrastructure (PKI), e-passport management system, public database management solutions, human resource management system, electronic counter services and web based e-services, e-procurement and e-payment. – Electronic Commerce (e-Commerce) Solutions – A number of e-commerce solutions from Malaysia include web-based e-commerce portal, payment gateway, e-marketing solutions, B2B and B2C e-commerce systems, internet and web marketing consultancy. – Vertical ICT Services – Malaysian ICT services which have made the greater impact in the international market were software development, system integration and solutions for construction & project management, banking, finance, insurance, healthcare and education. – Other ICT services – Malaysia is strengthening its competitive edge in ICT security (data and information security), Information Technology Outsourcing (ITO), Business Process Outsourcing (BPO), data centre management & hosting, cloud computing services, unique business solutions and scalable/customized software for Small and Medium Enterprises, web hosting and related services. – ICT Hardware – In line with the experience gained as supplier of world-class ICT products, Malaysian companies are able to produce quality parts & components for computers, telecommunication and data storage devices. -Telecommunication – In the telecommunication sub sector, Malaysia produces switching equipment, transmission equipment/devices, radio base stations and digital wireless transceivers. – Digital creative multimedia content production & broadcasting, various mobile applications & solutions for major smart phones and tablet computers. – Future trends – nanotechnology, micro-electro-mechanical systems (MEMS), semantic technology, wireless communications, grid-computing, biometrics and biotechnology. Companies applying for MSC have to meet high quality standards. Currently, more than 3,500 companies have been certified a MSC Malaysia Status. MSC Malaysia Status covers three technology clusters, representing the three predominant categories which ICT companies focus on. These main categories are namely the Information Technology (InfoTech) cluster, Shared Services Outsourcing (SSO) cluster and Creative Multimedia cluster (CMC). Over the years, MSC Malaysia and MSC Malaysia-Status companies have successfully secured business opportunities from various governments and renowned companies across the globe. MSC Malaysia-Status companies have firmly penetrated emerging economies and are poised to make their presence felt in more developed economies. Together with Multimedia Development Corporation (MDeC) which facilitates the development and promotion of MSC Malaysia, Ministry of International Trade and Industry (MITI) has been spearheading the growth of the ICT production sector through Malaysian Industrial Development Authority (MIDA) and Malaysian External Trade Development Corporation (MATRADE), in particular with foreign direct investment (FDI) and export orientated strategies. MATRADE’s participation in CeBIT 2014 is a strong testimony of Malaysia’s seriousness in growing its ICT exports and such efforts will continue as Malaysian exporters‘ capabilities increasingly receive greater recognition in Europe and other countries. The fair takes place in Hanover/Germany, 10th-14th of March, 2014. Malaysia continues to push hard to strengthen its presence in the EU’s Euro 225 billion plus import market. TUESDAY, OCTOBER 22, FRANKFURT: A total of 10 Malaysian exhibitors will be taking part at the CPhi 2013 trade fair at Frankfurt. Malaysia’s pavilion will be in Hall 4.0 D24 and is organised by the Malaysian Ministry of Health and Malaysia External Trade Development Corporation (MATRADE). According to S. Jai Shankar, the Trade Commissioner at MATRADE’s Frankfurt office, Malaysian pharmaceutical industry has moved up the value chain over the last decade. According to him currently the industry has the capacity to produce medicines in all dosage forms e.g. tablets (coated & non-coated), capsules (hard and soft gelatine), liquids, creams, ointments, sterile eye drops, small volume injectable (ampoules and vials), large volume infusions, dry powders for reconstitution and active pharmaceutical ingredients (API). Local manufacturers have also developed and launched off-patent generics and herbal products using their own brands. Currently, the local industry is producing about 30 per cent of the domestic demand, as well as exporting to the Asia-Pacific Rim countries, the Middle East, Africa, Latin America and Europe. Leading Malaysian companies are also moving into the production of biologics drugs, oncology and high value-added generic compounds in-line with the growing demands in this region. 246 pharmaceutical premises with Good Manufacturing Practices certification have registered with the Malaysia“s Drug Control Authority (DCA). According to Mr. Shankar, of these, a total of 51 premises are licensed to produce modern medicines comprising mainly analgesics, antacids, anti-hypertensive, diuretics, antibiotics and anti-histamines in the form of tablets, capsules, drops, powders, creams, ointments, injectable, syrups, ophthalmic and nasal preparations. The remaining 172 premises are licensed to produce local traditional and herbal medicines. There is also growing demand for Malaysia’s expertise in production of halal pharmaceuticals and Malaysia’s halal certifications. Under the Healthcare National Key Economic Area (NKEA) sector, one of the key recommendations is to promote manufacturing of pharmaceuticals. New investments in the state-of-the-art technologies and compliance with international standards have enabled Malaysian companies to be strategic outsourcing partners for MNCs. Furthermore, Malaysia has established 27 Clinical Research Centres (CRC) to conduct clinical trials, clinical epidemiology and economic research, and manage complex medical databases. 1. Ethical, OTC and Food Supplements (all major therapeutic class and health supplements for children and adult). Total logistic provider for sea, air and land. -To promote, facilitate and assist in the services areas related to trade. Malaysian companies are showcasing a wide array of products at the K-Plastics & Rubber Exhibition in Germany. The trade fair which is considered being one of the most important events for exploring the plastic materials for various manufacturing and processing industries takes places from 16th to 23rd October 2013 in Dusseldorf. The collection of products shown at the fair range from plastic resins , polypropylene and rubber raw materials, plasma coatings , injection molding and screen printing to packaging stretch film, latex and nitrile gloves. The Malaysian pavilion therefore offers on excellent opportunity for European companies for exploring the quality of Malaysian products and to establish personal contacts with reliable sellers. High-tech industries, well-trained professionals and the wealth of raw materials such as rubber and oil provide ideal conditions to produce high quality goods at competitive prices. The country is not only one of the top names when it comes to reliable suppliers and outsourcing, but also provides opportunities for joint ventures and investments of all kinds. Zeo Trade & Development Ltd. bietet 330.000 Aktien für 0,30 Euro pro Aktie öffentlich zum Verkauf an. Zeo Trade & Development Ltd (WKN: A1W4SF) bietet 330.000 Aktien für 0,30 Euro pro Aktie öffentlich zum Verkauf an. Das Angebot läuft bis zum 18.10.2013. Bei den angebotenen Aktien handelt es sich um Inhaberaktien aus der am 4. September 2013 beschlossenen Kapitalerhöhung der Zeo Trade& Development Ltd. Der Vorstand hat mit Genehmigung des Board of Directors beschlossen, dass Kapital der Gesellschaft um bis zu 330.000 Aktien zum Ausgabepreis von 0,255 Pound (0,30 Euro)je Aktie bis zum 18.Oktober 2013 zu erhöhen. Die Frist kann mit einem Beschluss des Board of Directors bis zum 31.November 2013 verlängert werden, oder auch vorher beendet werden. Die Zeichnungen werden nach Geldeingang bedient, das heißt, dass die Zeichnung geschlossen wird, wenn der Gesamtbetrag des Angebotes auf dem Sonderkonto der Zeo Trade & Development Ltd. eingegangen ist. Es kann somit vorkommen, dass ein Anleger der zwar den Zeichnungsschein ausgefüllt hat und an die Gesellschaft zurückgesendet hat, aber den Zeichnungsbetrag zu spät überweist, nicht bedient werden kann. Die Zeo Trade & Development Ltd. hat auf einer außerordentlichen Hauptversammlung am 30.Juni 2013 beschlossen, dass die Gesellschaft Ihr in den nächsten 5 Jahren weitere 5 Mio. Aktien gegen Bareinlage ausgeben darf. 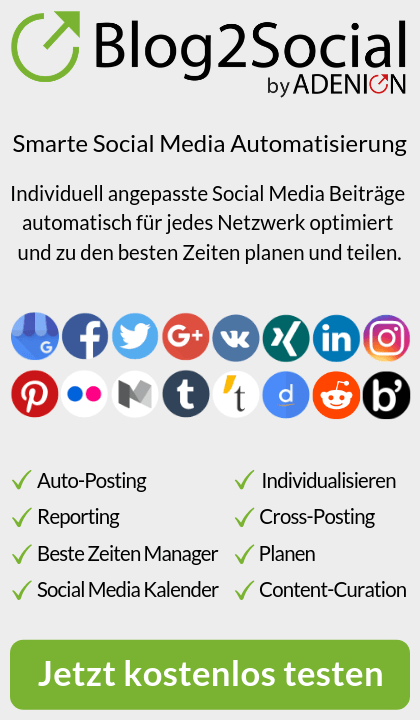 Dabei wird der Ausgabepreis individuell festgesetzt. Bei dem Beschluss handelt es sich um einen reinen Vorratsbeschluss. Das Angebot besteht aus einem öffentlichen Angebot in der Bundesrepublik Deutschland und Privatplatzierungen in anderen Ländern außerhalb der Bundesrepublik Deutschland. In Zusammenhang mit diesem Angebot wird auf der Internetseite der Zeo Trade & Development Ltd. (nachstehend -die Gesellschaft) ein Wertpapierverkaufsprospekt unter www.zeo-trade.com veröffentlicht. Auf Verlangen wird zudem jedem Interessenten eine Papierversion kostenlos zur Verfügung gestellt. Es wird ausdrücklich darauf hingewiesen, dass dieser Prospekt nicht bei der BaFin eingereicht wurde und somit auch keine Billigung der BaFin erfolgt ist. Eine offizielle Hinweisbekanntmachung über das öffentliche Angebot erfolgte am 12.09.2013 im Bundesanzeiger. einer der Ausnahmetatbestände der §§ 3 Abs. 2-3 und 4 Abs. 1 WpPG einschlägig ist. In § 3 Abs. 2 WpPG werden die Ausnahmen geregelt, die sich auf die Art des Angebots beziehen. Eine solche Ausnahme von der Prospektpflicht liegt vor, wenn der Verkaufspreis aller über einen Zeitraum von 12 Monaten angebotenen Wertpapiere im europäischen Wirtschaftsraum weniger als 100.000 – beträgt. Die Obergrenze von 100.000 – gilt für das jeweilige Angebot, nicht etwa für die Gesamtsumme aller Angebote eines Emittenten. WAIGANDSHAIN (wl) – Sechs junge Männer haben jetzt beim Windspezialisten FWT in Waigandshain ihre Ausbildung zum Mechatroniker mit guten bis sehr guten Ergebnissen erfolgreich abgeschlossen. „Viele machen Service & Wartung – FWT kann mehr!“ – unter diesem Motto startete die FWT Trade GmbH am ehemaligen Fuhrländer-Standort in Waigandshain in diesem Jahr mit einem umfassenden Angebot für Betreiber von Windenergie-Anlagen. „Zur Zukunftssicherung und Weiterentwicklung unseres Unternehmens gehört auch die Ausbildung und Qualifizierung unseres Nachwuchses“, sagt Geschäftsführer Bernd Gieseler. Also war es nur logisch, die bekannte Fuhrländer-Ausbildung weiter zu führen. Ausbilder Burkhard Riedel, der die Azubis schon unter Fuhrländer-Flagge begleitet hatte, übernahm jetzt auch die Betreuung der sieben angehenden Mechatroniker in der Prüfungszeit. Hierbei standen die jungen Männer vor einigen Herausforderungen: Jonas Böhl realisierte eine Steuerung über das KNX-Bussystem aus der Gebäudetechnik zum Öffnen und Schließen eines Schiebetores. Daniel Franzentwarf eine Elektronikplatine sowie ein Trainingsprogramm zum Programmieren und Simulieren einer LOGO-Steuerung. Simon Nink hatte baute ein Schulungsmodel, mit dem unterschiedliche Werkstoffe auf einem Förderband sortiert werden. Moritz Müllerrealisierte eine pneumatische Pressvorrichtung mit einer Pilz-Sicherheitsschaltung, die über Safeballs mit Zweihand-Auslösung angesteuert wird. Alexander Süß erweiterte eine Kugelsortiereinrichtung um eine Farberkennung. Dabei werden per Farberkennungssensor vier verschiedenfarbige Kugeln erfasst und über pneumatische Wippen in entsprechende Behälter sortiert. Jakob Wagener baute ein Schulungsmodell zur Programmierung eines horizontalen Schwenkarm-Roboters. Er hat dazu einen Roboter entwickelt und angefertigt, der in der Lage ist, auf einem Gestell mit Koordinatensystem Teile zu greifen und an definierter Position wieder abzulegen. „Das Engagement unserer Azubis war dabei einfach spitze, denn von der Idee bis zur fertigen Lösung war seitens der IHK ein begrenzter Zeitrahmen vorgesehen“, freut sich Ausbilder Riedel und verweist darauf, dass alle Azubis die vorgezogene Prüfung mit Bravour bestanden haben. Und mit dieser Einsatzbereitschaft arbeiten sie jetzt als Gesellen bei FWT. „Wir bleiben in Sachen Ausbildung am Ball“, sagt Geschäftsführer Bernd Gieseler: So starten im September wieder drei Azubis ihre Mechatroniker-Ausbildung bei FWT. Die FWT Trade GmbH (FWT) hat im Februar 2013 den wichtigen Service- und Engineering-Bereich sowie gut 50 qualifizierte Mitarbeiter der Fuhrländer AG übernommen. Dadurch bleibt den Kunden das Know-how der Fuhrländer-Mitarbeiter erhalten. Neben Service und Wartung beliefert FWT die Fuhrländer-Lizenznehmer mit Großkomponenten, kann über eigene Engineering-Kapazitäten Windenergie-Anlagen optimieren und baut eine Fertigung für den Kleinserienbau von Anlagen in von 2 bis 3 Megawatt auf. Für die FWT stehen der deutsche und der europäische Markt im Fokus. Weitere Kunden sind die ukrainische Schwestergesellschaft und andere internationale Fuhrländer-Lizenznehmer sowie Betreiber von Windenergie-Anlagen anderer Hersteller. (NL/7274306333) Bonn, im Mai 2013 Ob klassisch glatt oder zeitlos modisch gesteppt und von Hand mit echten Swarovski-Kristallen besetzt: Madison und Signature Flip von Case-Mate aus echtem Leder bringen anspruchsvollen Kunden den Duft und das unverwechselbare Erscheinungsbild des edlen Materials aufs Samsung Galaxy S4 und iPhone 5. Die neue Signature Collection von Case-Mate ist für den Handel ab sofort exklusiv beim Distributor Frequency Telecom verfügbar. Die neue Signature Collection aus hochwertigem Leder ist Teil des Premium-Portfolios von Case-Mate und steht für innovative Hüllen in exklusivem Design. Ein Hingucker der besonderen Art ist Madison, die in den Farben Schwarz, Gold und Bronze erhältlich ist. Während das gesteppte Leder zeitlos elegante Modetrends aufgreift, sorgen echte und per Hand aufgesetzte Swarovski-Kristalle für ein hochkarätiges Finish. Schlank und glatt gibt sich hingegen die Klapphülle Signature Flip. In Schwarz oder Weiß schützt sie auch das Display des Samsung Galaxy S4 oder iPhone 5. –	Madison greift den Trend gesteppter Accessoires aus feinstem Leder auf und verfeinert diesen durch handbesetzte Swarovski-Kristalle. Schwarz, Gold und Bronze stehen zur Auswahl. –	Signature Flip besteht aus hochwertigem Leder in Schwarz oder Weiß und schützt auch die Displayseite des Mobiltelefons. Exklusiv-Distributor für Case-Mate in Europa ist Frequency Telecom. Alle Produkte sind ab sofort verfügbar. Alle Preise verstehen sich als unverbindliche Preisempfehlung des Herstellers. Neben den genannten Produkten hält Frequency Telecom auch ein großes Produktportfolio für die neuesten Smartphones wie das Samsung Galaxy S4, BlackBerry Q10, HTC One, Sony Xperia Z oder iPhone 5 bereit. Case-Mate ist führender Anbieter edler Accessoires für den mobilen Lifestyle. Seit 2006 begleitet das Unternehmen Modebewusste bei der Entfaltung ihres individuellen Stils mit Produkten, die ihre mobilen Geräte schützen, schmücken und aufwerten. Gemeinsam mit Top-Designern aus aller Welt kreiert das gleichermaßen design- und technikbegeisterte Team von Case-Mate aus innovativen Materialien ein umfangreiches Repertoire an Cases für Smartphones und Tablets – für jeden Look und jede Gelegenheit. Als Distributor für mobiles Zubehör beliefert Frequency Telecom weltweit 50 Länder mit einer umfangreichen Auswahl von qualitativ hochwertigem Zubehör für alle führenden Anbieter von mobilen Endgeräten. Seit der Gründung 2002 ist Frequency Telecom stetig gewachsen, beschäftigt mittlerweile über 60 Mitarbeiter in Großbritannien, Deutschland und Russland und erreichte 2012 einen Umsatz von 35 Millionen Euro. Während sich der Markt und die Technologie in den vergangenen zehn Jahren verändert haben, sind Kultur und Anspruch der Frequency Telecom gleich geblieben. Frequency Telecom ist mehr als ein Distributor und behandelt die Marken ihrer Partner, als wären sie ihre eigenen. 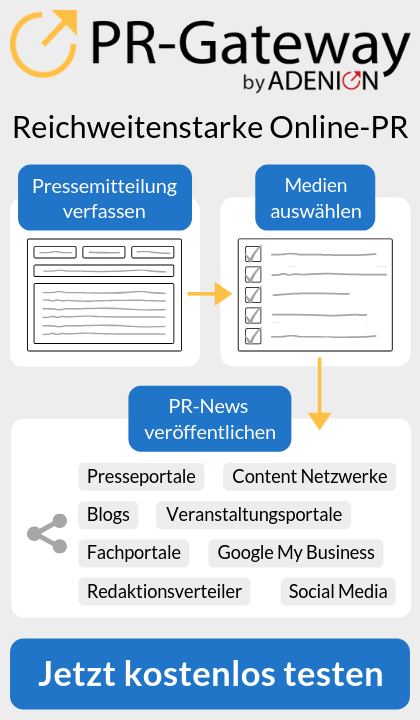 Account Management und Marketing bei Frequency Telecom sind darauf ausgerichtet, den Verkauf im Sinne der Marken und deren Kunden zu steuern. Durch ihr eigenes Lager ist Frequency Telecom in der Lage, jede Nachfrage pünktlich zu bedienen. Produkte werden beim Weg durch den Channel von Anfang bis Ende unterstützt das alles mit dem bestmöglichen Service für Hersteller und Händler. Frequency Telecom distribuiert eine große Bandbreite an Marken wie Case-Mate, Olo, thinksound, blackbox, Degauss Labs, Griffin, Motorola, Music Angel Friendz, HTC, Nextivity, Merkury, IGrip, Juice, Native Union, TDK und Vaja. Dahlem-Schmidtheim. – For the third time ENTRADE Energiesysteme AG is joining forces with the Autark Institute at the state of North Rhine Westphalia stand at the Hanover trade fair, where from 8 to 12 April 2013 the institute will be presenting the research networks it supports. The focus will be on the generation of electricity from wood. Covering a range of producers leading scientists and engineers will be providing an overview of the use of wood for energy purposes and presenting the latest technology and innovative concepts for generating power as well as providing heating and cooling in the small to medium output category. The first „HolzStrom“ (wood electricity) installation which is fuelled by wood chippings and green waste has already been set up and will in future provide electricity and heating to the entire premises of Entrade Energiesysteme AG at Schloss Schmidtheim in the Eifel municipality of Dahlem. As the initiator and member of the „HolzStrom“ network ENTRADE Energiesysteme AG promotes the ongoing development of wood gasification power stations in the range below one megawatt. The targets are optimising processes for small-scale biomass gasification for the purpose of generating electricity and heating, as well as the development of products in the field of combined heat and power (CHP) on the basis of innovative advanced technology. The „HolzStrom“ network was established more than two years ago in Bad Münstereifel and is supported by the Federal Ministry for Economics and Technology as part of the „Central innovation in Medium-sized Companies (ZIM)-NEMO“ programme. Its members currently include around 20 companies, universities and public research institutes throughout Germany. Among them are RWTH Aachen, the Technical University of Zittau/Görlitz, the Fraunhofer Institute UMSICHT in Oberhausen and the North Rhine Westphalia Energy Research Cluster. The aim of the research networks is to help promising technological approaches for producing energy from regenerative sources to reach the stage where they can be marketed. The AUTARK Institute and ENTRADE Energiesysteme AG at the „Integrated Industry“ 2013 HANOVER TRADE FAIR from 08 to 12 February: Hall 27, Stand E60, joint North Rhine Westphalia stand. Die Entrade-Gruppe hat sich auf die Entwicklung und den Betrieb von Anlagen zur Erzeugung von Strom und Wärme auf Basis von Biomasse und selektierten Roh- und Abfallstoffen spezialisiert. Als Finanzierungspartner des renommierten AUTARK Instituts für Energieforschung, das auch im Auftrag des Bundesministeriums für Wirtschaft und Technologie tätig ist, werden innovative Energiekonzepte zur Marktreife gebracht. Darüber hinaus werden auf internationaler Ebene modulare Kleinkraftwerke auf Basis eines breit gefächerten Reststoff-Sortiments betrieben. Eingebettet in ein in Deutschland in dieser Form einzigartiges Forschungs- und Wissenschaftsnetzwerk unter Leitung des AUTARK Instituts für Energieforschung an der Hochschule Zittau/Görlitz investiert Entrade in ethisch verantwortungsvolle und nachhaltig ausgerichtete Energieversorgungskonzepte. Das Unternehmen versteht sich dabei als Mittler zwischen innovationsfreudigen Startups und langfristig orientierten Investoren.